Alabama's Hunting & Fishing Trail for People with Physical Disabilities is a network of public and private recreational sites throughout the state providing accessible fishing, shooting, and hunting opportunities for individuals with physical disabilities. The new trail has been developed by the Division of Wildlife and Freshwater Fisheries of the Department of Conservation and Natural Resources in cooperation with a broad range of sponsors. 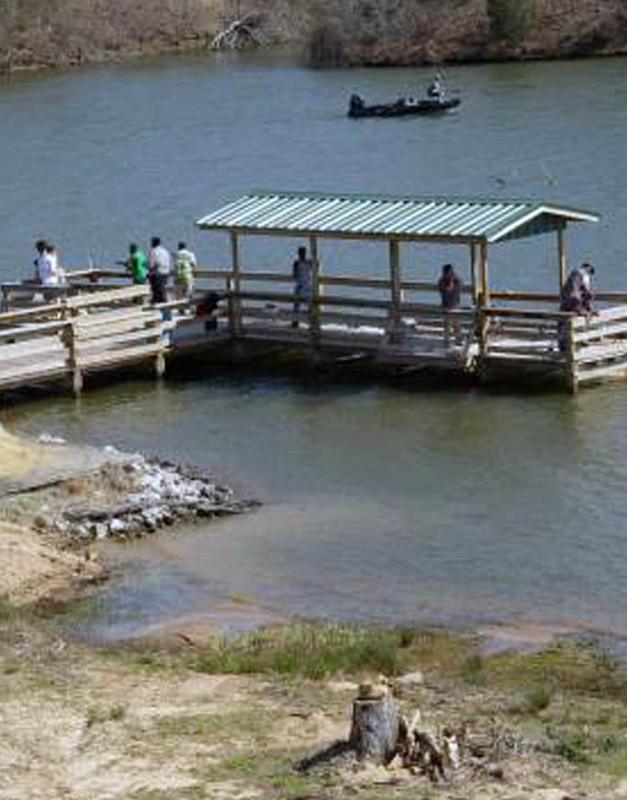 There are no requirements to pre-register to use the fishing and shooting facilities. Trail sponsors encourage you and a friend to visit one or more of these sites and experience the joys of recreational fishing and shooting. All users of these facilities must be properly licensed and abide by regulations governing the fishing and shooting sites. For fishing information, call the individual fishing sites listed here. For additional information, please call (334) 339-5716.